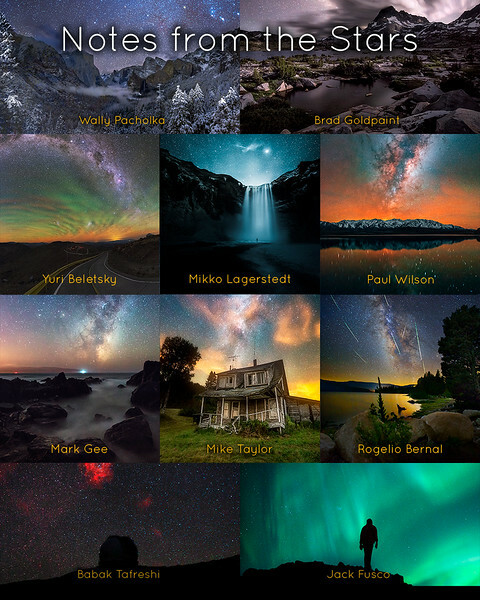 Notes from the Stars is a high quality, full color book written by ten award-winning, acclaimed night landscape photographers, each teaching us what they do best. Notes from the Stars tackles topics from planning to shooting to processing with each chapter written from the personal perspective of its contributor and includes gorgeous explanatory photographs. The aim of this book is to be the resource and inspiration night photography enthusiasts will enjoy and return to again and again.